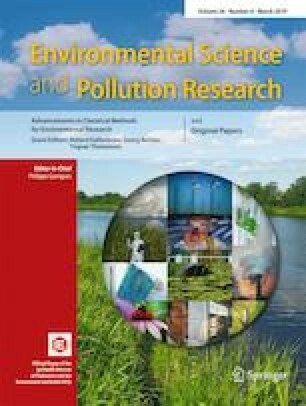 The increasing pollution of terrestrial and aquatic ecosystems with plastic debris leads to the accumulation of microscopic plastic particles of still unknown amount. To monitor the degree of contamination, analytical methods are urgently needed, which help to quantify microplastics (MP). Currently, time-costly purified materials enriched on filters are investigated both by micro-infrared spectroscopy and/or micro-Raman. Although yielding precise results, these techniques are time consuming, and are restricted to the analysis of a small part of the sample in the order of few micrograms. To overcome these problems, we tested a macroscopic dimensioned near-infrared (NIR) process-spectroscopic method in combination with chemometrics. For calibration, artificial MP/ soil mixtures containing defined ratios of polyethylene, polyethylene terephthalate, polypropylene, and polystyrene with diameters < 125 μm were prepared and measured by a process FT-NIR spectrometer equipped with a fiber-optic reflection probe. The resulting spectra were processed by chemometric models including support vector machine regression (SVR), and partial least squares discriminant analysis (PLS-DA). Validation of models by MP mixtures, MP-free soils, and real-world samples, e.g., fermenter residue, suggests a reliable detection and a possible classification of MP at levels above 0.5 to 1.0 mass% depending on the polymer. The benefit of the combined NIRS chemometric approach lies in the rapid assessment whether soil contains MP, without any chemical pretreatment. The method can be used with larger sample volumes and even allows for an online prediction and thus meets the demand of a high-throughput method. The online version of this article ( https://doi.org/10.1007/s11356-018-2180-2) contains supplementary material, which is available to authorized users. The authors kindly thank Dr. Markus Ostermann and Dr. Ute Kalbe for providing standard soils from their collections, Andreas Sauer for the cryo-milling of polymers, Dr. Thomas Schmid for kindly providing microphotographs, Dr. Claus Gerhard Bannick (Umweltbundesamt Berlin, Germany) for fermenter residue samples and washing machine filter material, BONARES for soil samples, and Yosri Hassanein for assistance with the preparation of samples. Many thanks to Dr. Michael Maiwald (BAM), the Focus area “Microplastics” at BAM, and the BMBF (MIWA, coordination Technische Universität Berlin, Prof. Martin Jekel) for the financial support of this project.